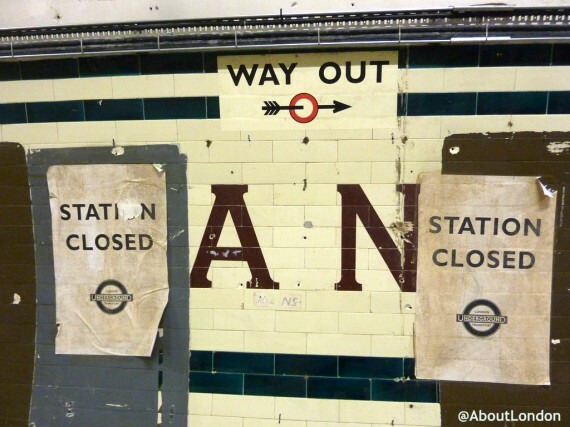 Aldwych tube station is probably the most well-known closed station on the London Underground network. 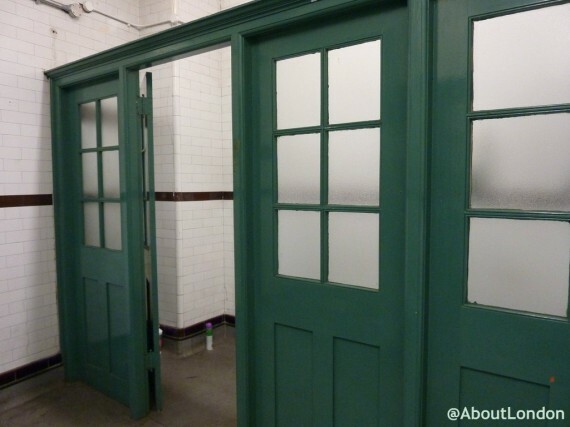 It closed on 30 September 1994 and is often used as a film location as it’s a wonderfully preserved Edwardian station. 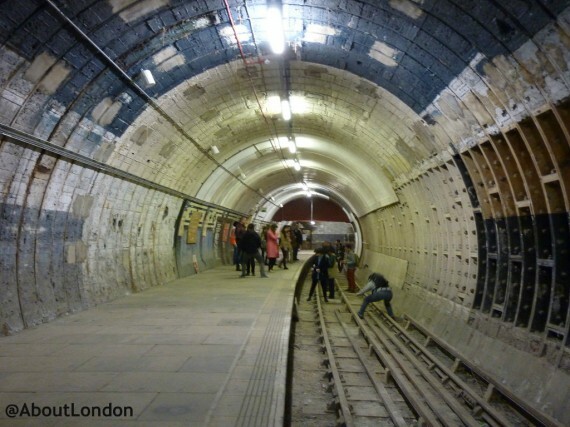 It’s not open regularly so it’s worth keeping an eye on the London Transport Museum website for open days and tickets. 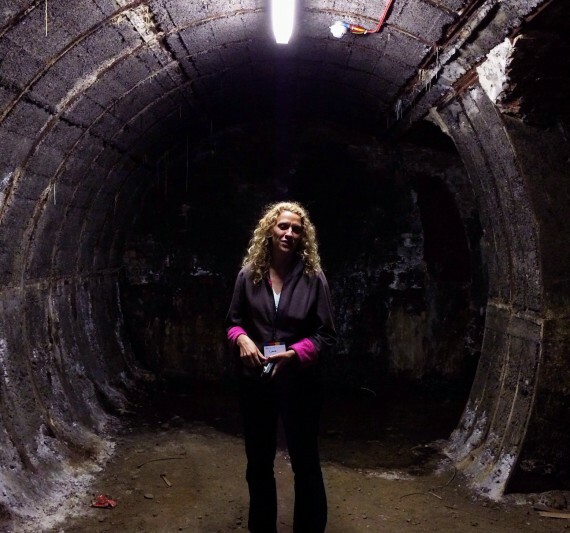 I visited with the Google London City Experts for a rare visit with the London Underground Film Location Team which meant we got to see areas never usually open on public tours. This photo is taken from inside looking at the original entrance (on The Strand). When the station opened on 30 November 1907 it was called The Strand and was only renamed Aldwych in 1915. There was a shop on the right-hand side and later a photo booth which turned out to be more popular than the shop as the Indian Embassy is nearby so many visitors to the areas needed passport-sized photos quickly. When the station closed the photo booth remained open for a while opening directly onto the street which is why there’s that boxed-off area on the right. 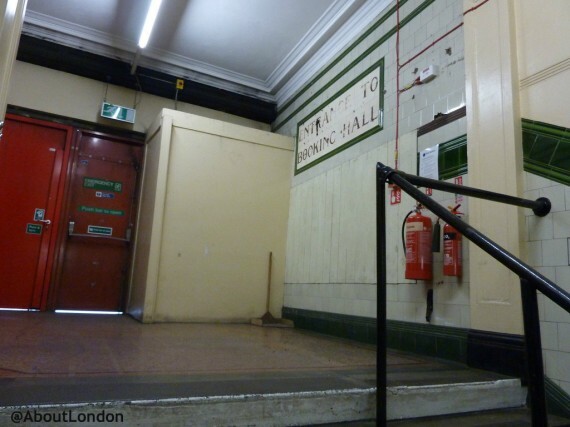 When there was a shop here, its storage space was the area on the right-hand side of the stairs, against the wall. 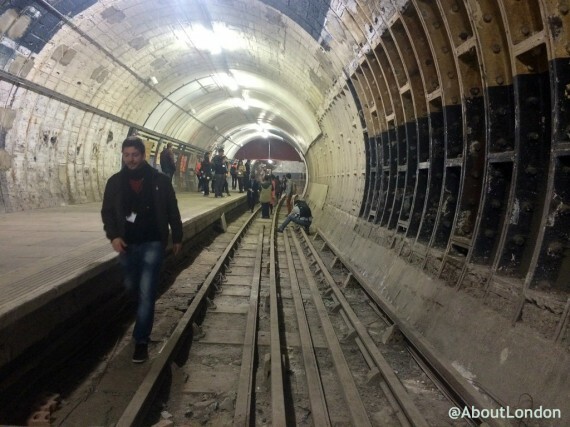 Why Has Aldwych Station Been Saved? 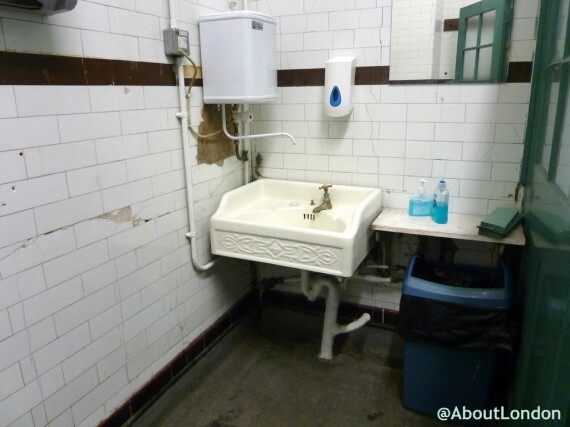 I’ve been lucky enough to visit Aldwych a few times and discover something new each time. Tours usually start with a talk by the Ticket Office which is not original but was designed to not look out of place. 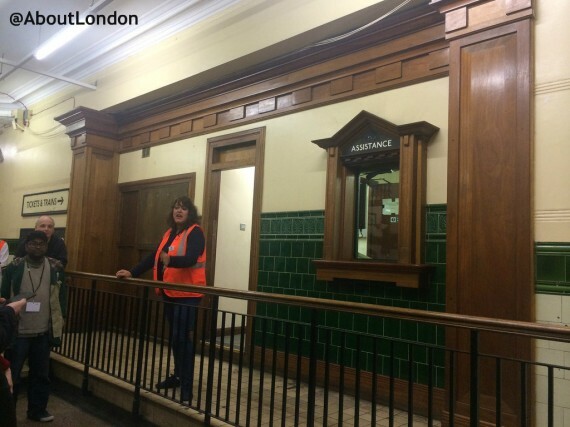 We had fantastic tour guides who have worked at Aldwych for many years, arranging filming and being on site for long hours, but haven’t lost their enthusiasm for the station. There are two large lifts (elevators) at the station and it was actually the expense of repairing the lift versus the low passenger numbers that caused the station to close. The Booking Office shut in 1922 and there was a Lift Attendant who also sold tickets and you can see the mark on the floor where his counter once was, and you can also see his heater on the wall. 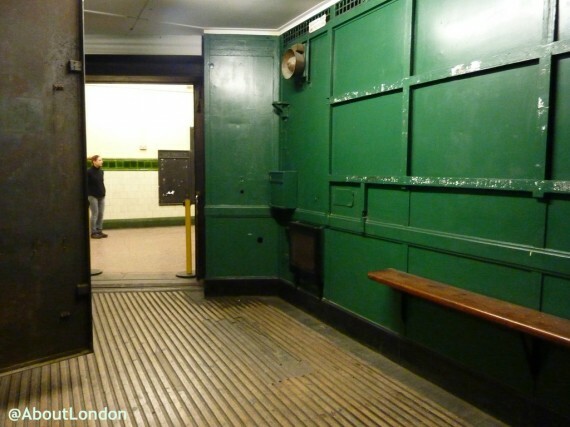 Aldwych was the end of a short branch line from Holborn and a bell operated at Holborn station rang in the Aldwych lift to give the lift attendant a warning that he had two minutes to get down and collect the passengers. If one of the lifts broke down the second lift was sent down to the same level and there’s actually a door that could be opened so passengers could move through to the working lift. 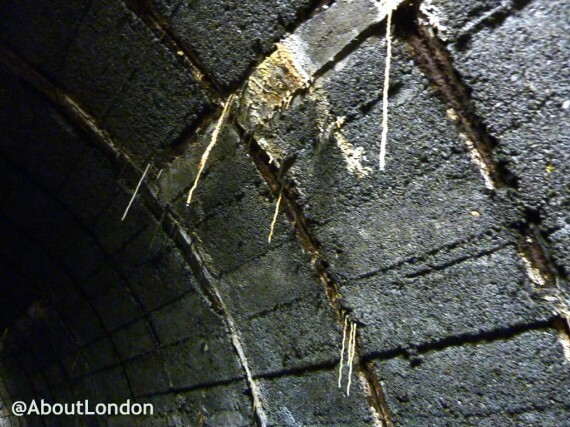 As anyone who has travelled on the London Underground network will tell you, there are mice living down there. The simple reason is because of the amount of food left by passengers so there is a strict rule of no food or drink within Aldwych station. 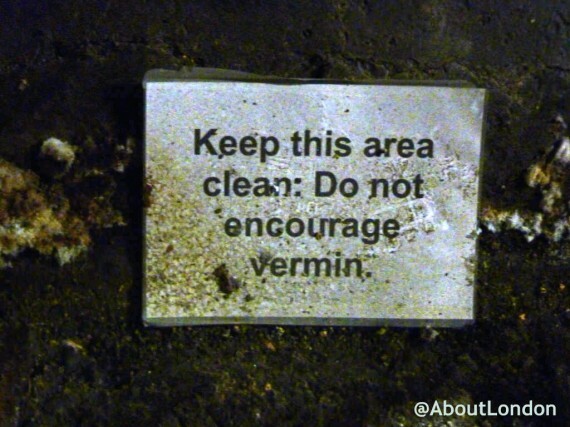 And it works, as it is the only vermin-free station on the whole network. To reach the two platforms you have to use the steps as the lifts do not work. When film crews are using the station they have to carry all of their equipment up and down these 160 steps which much be quite exhausting. 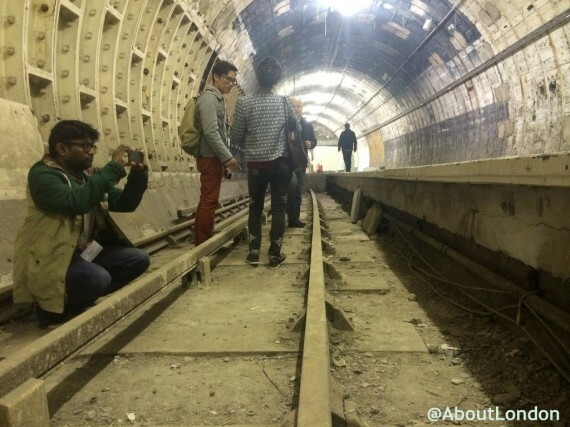 The tour takes in some unfinished tunnels which were never completed as so few people used the station, and we saw the extra lift shafts that were also dug by hand yet never used. Onto the two platforms, there is a longer platform that is a popular filming location and had recently been used for Woman in Black II. 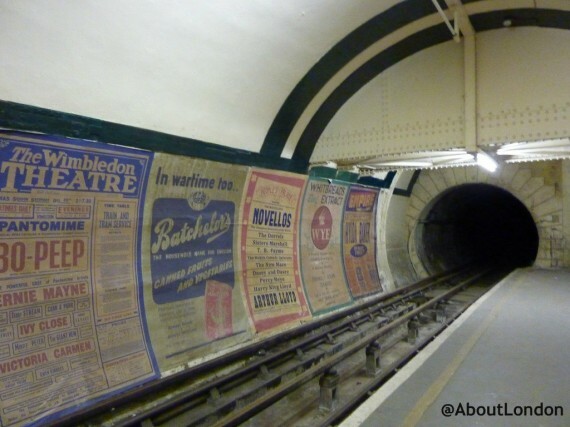 The film crew had added all of the 1940s posters and the London Underground team agreed the posters could stay as they suit the station. 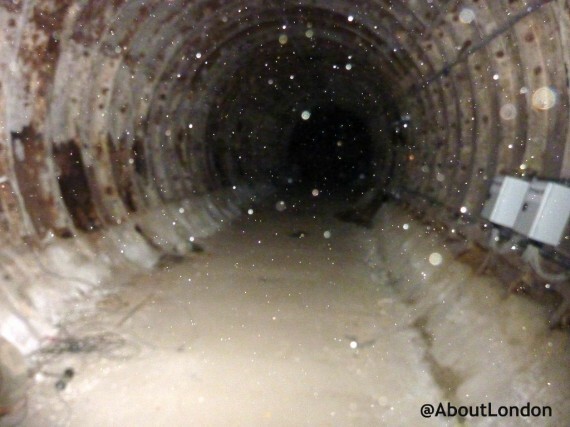 Along this tunnel we could look in, through a side door, to the tracks but I won’t show you that dreadful photo. Just imagine how cool it was at the time. Talking about tracks, over on the other platform we got to do something I never thought we’d be allowed to do. We were allowed to walk along the track as the line is not live. Seriously, how rare a view is this? The staff referred to these dangling strips as “calcium snot” so they’re not too keen on them. 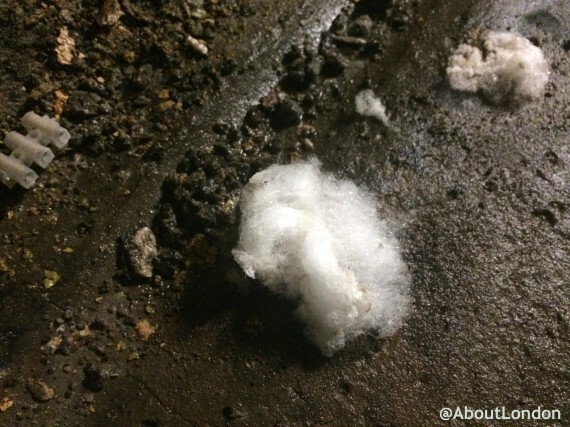 Plus, we found this ‘foam’ on the floor that is a chemical reaction to the environment, and possibly from the calcium in the walls, but it remains unexplained. Any ideas? As this was a private tour, and with LU staff, we got to see more than others may on future public tours. We saw the staff rooms too and even had the fun of switching off all the lights to discover there is luminous paint on the steps and around the bottom of the walls. 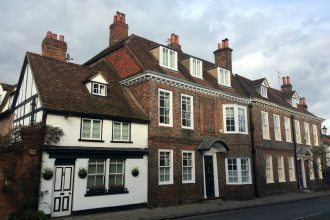 We were also allowed to take photos everywhere which may not always be the case on public tours. The general rule I’ve found on London Transport Museum tours is that basic cameras are allowed but no tripods and that’s because of health & safety (you’ve got to carry it up and down those stairs, plus someone might trip on it) and time constraints. We were certainly given more time in different areas and were able to ask lots of questions. Follow Google Local London on Google+ to find out about the cool events they offer.